I have just started making dragons. 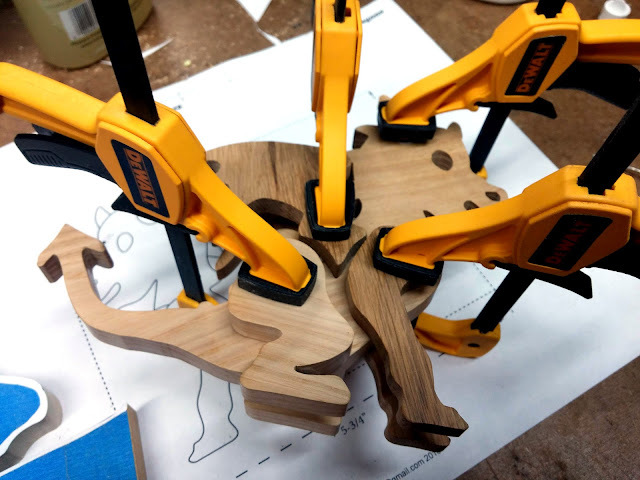 They are pretty simple to assemble, but gluing and clamping can be a challenge. 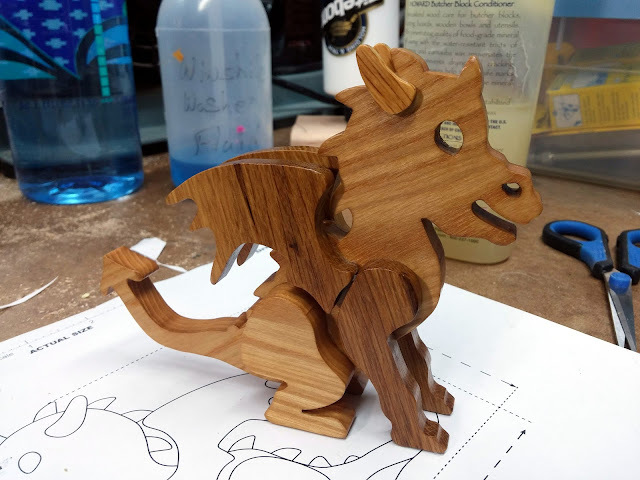 You need to get the legs lined up correctly so the toy dragon will stand like they should. The parts always want to move around. 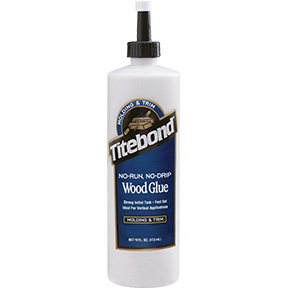 I use Titebond No-Run, No-Drip Wood Glue for this. This glue dries clear, sets up fast, and doesn't seem to move around asmuch. 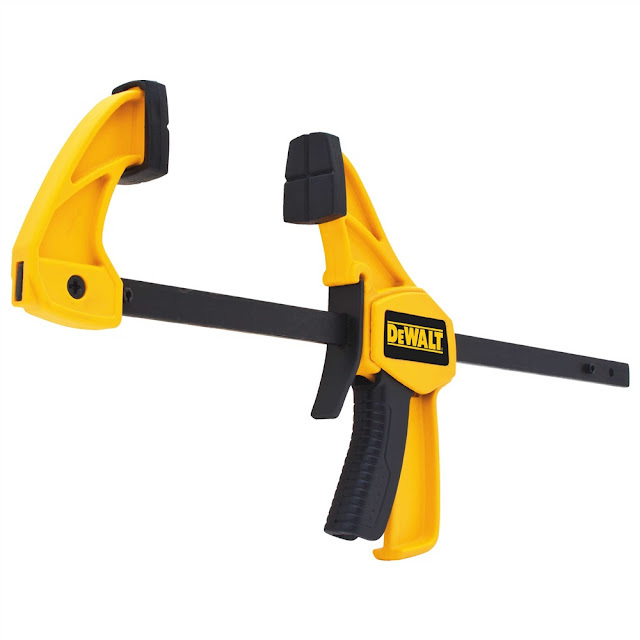 I prefer to use my Dewalt DWHT83191 4-1/2" Small Trigger Clamps for clamping. 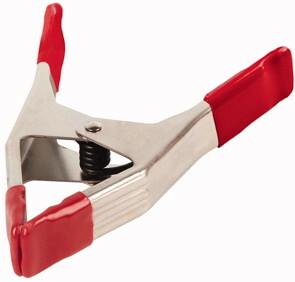 They deliver more than enough pressure and the one hand operation eases clamping. 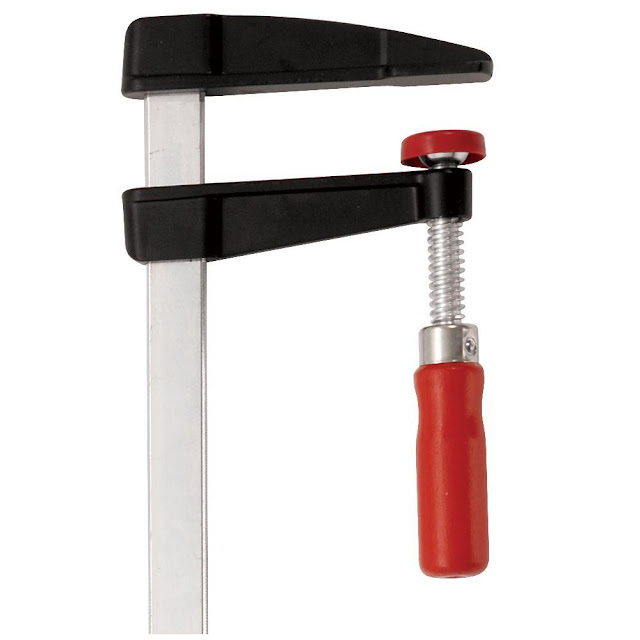 Spring clamps are fast but difficult to get aligned and the pressure isn't adjustable. I have some small F-Clamps but these almost require three hands. I'm not a big fan of these clamps they are the right size for many job but they will slip. I have had new ones that would not hold. Bessy has replaced some of them but it is a huge pain to get them to do it. If you buy these look them over closely and test them by clamping something tight. Wiggle them around to see if they come loose. In many cases they will not clamp at all. 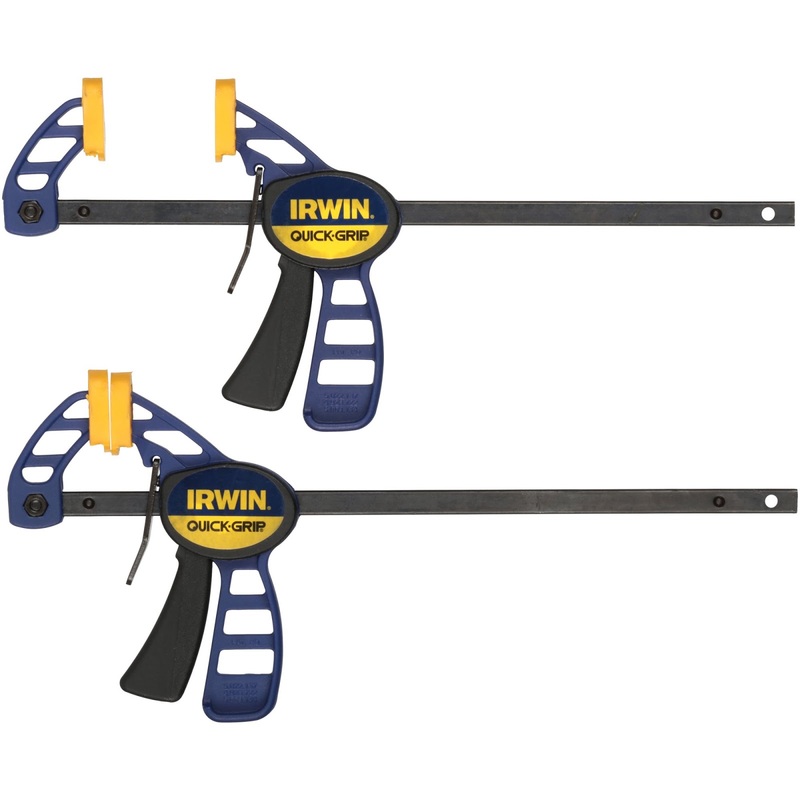 I also have some Irwin Quick-Grip Micro Bar Clamps. These have prroved to be to light to provide the proper pressure needed to squeeze the glue joints down tight. They are good for other things but not for clamping legs on dragons.